Tennessee has already hit the recruiting trail hard in the 2020 class as they set focus on filling this class. But UT’s coaches are always looking ahead in terms of recruiting, and they have been relentless since arriving on campus. 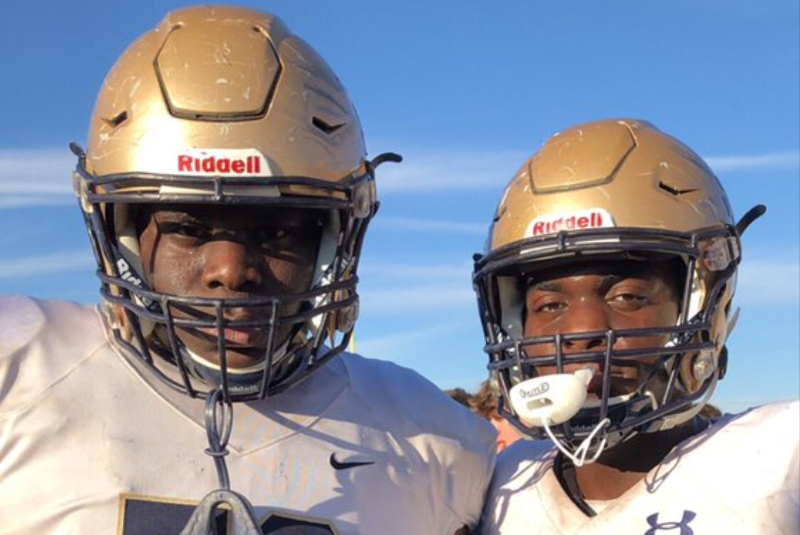 They’re already extending offers for the class of 2021, and they sent out an offer recently to a huge offensive lineman at a prestigious school. Per his Twitter account, the Vols have offered Jaeden Roberts, a massive Lenexa, Kansas native and St. Thomas Aquinas offensive guard. Roberts is listed at 6-foot-6, 347 pounds, and he just finished up his sophomore season of high school. As a sophomore, his recruitment is already heating up. He already holds offers from Iowa, Kansas State, Minnesota, Missouri, and Nebraska and has added offers from Texas A&M and Oklahoma State in the last month. The young offensive lineman picked up MVP honors at the 810 Varsity combines as a rising sophomore last summer, and he’s already visited several schools. While he’s not rated by recruiting services yet, he projects to be one of the most highly sought-after offensive linemen in the 2021 cycle. Roberts has a massive frame and is able to use it very well. He’s able to bend his knees and continually gets lower than his opponent, moving his man with ease, resulting in numerous pancake blocks in the passing game. In his kick out run blocks, he is absolutely brutal to opponents. One highlight in particular stands out in his film. His quarterback throws a interception, and Roberts runs down the defender almost 40 to 45 yards down field and makes the tackle. For a player his size, that’s incredible athleticism. It’s too early to tell what Tennessee’s major needs will be in the 2021 class, but offensive line always projects to be a need for any major program, and Roberts looks like an early stud in that cycle. His recruitment will be one to watch as it heats up.